After the Demonetisation of 500 and 1000 rupee notes, Prime Minister Narendra Modi has been focusing on cashless (read less cash) economy and digital transactions. It is reported that while China has nearly 30% of cashless transactions over GDP, India remains the lowest at 2%. It is also reported that more than 50% of the transactions in India remain out of the system, leading to generation of black money. With this parallel black economy, the country suffers due to inflation, price hike, terrorism, etc. Demonetisation announced by the Government on 8th November 2016, has forced the Indian citizens to move towards non-cash transactions through the digital mode. Any change is always painful and uncomfortable. India had experienced a similar situation in 1991, when the liberalisation process was introduced during the then Prime Minister, Narasimha Rao's regime. During those days, the country spent more than 5 years, resisting the change. In the meantime, economic changes swept the country in a forward mode. Those who went with the winds of change, survived. Those who resisted the change, seeking reversal, lagged behind and found it difficult to catch up with lost time. With this experience as reference for India, the time has come again for India to make the move again with the changes, and look forward to newer opportunities and methods, instead of demanding status quo. It may not be possible to move to 100% cash-free transactions. But even if India increases cashless transactions by 10-20%, this can bring about a substantial positive economic change and reduce corruption at different levels. The Editorial Team of PreSense had discussions with various officials of commercial banks, the National Payment Corporation of India (NPCI) and other payment operators about the options available for cashless transactions. For the time being, the citizens can avail the following facilities. Cheques are cleared through 64 MICR Clearing Houses and 1300-plus Non-MICR Clearing Houses. It is reported that presently 45 lakh (4.5 million) cheques are cleared per day, as against 35 lakh (3.5 million) cheques prior to demonetisation. Banks have hitherto been issuing Visa and Master debit/credit cards to their customers. In 2012, the National Payment Corporation of India (NPCI) introduced the RuPay card as an alternative to Master Card and Visa Card schemes, and to consolidate and integrate various payment systems in India. Presently RuPay has around 300 million debit cards, as against a total of 720 million cards. Since both Visa and Master are US firms and the processing fees for the cards issued by them, even if the case of inter-bank Indian Cards, are being paid in US dollars amounting to thousands of crores of rupees. On the other hand, the charges levied by RuPay are nominal and the amount goes to RBI, ie. the amount is retained in the country itself. NPCI, Indian Banks Association (IBA) and banks should aggressively campaign for the RuPay card to save foreign exchange for the country. RuPay global cards are also being issued. These cards can be used in 1.4 million Point of Sales (POS) terminals and 2.3 lakh (230,000) ATMs. Every bank offers this facility to all its customers. Funds can be transferred within and outside the bank. Generally banks, provide two to three levels of authorisations to secure the transactions. Banks provide National Electronic Funds Transfer (NEFT), Immediate Payment Service (IMPS) and Real Time Gross Settlement Systems (RTGS) as modes for transfer of funds from one bank to another easily and quickly. Immediate Mobile Payment Service (IMPS) is an innovative real time payment service that is available round the clock without any holiday. This service is offered by the National Payments Corporation of India (NPCI). It empowers customers to transfer money instantly through banks and RBI authorised Prepaid Payment Instrument Issuers (PPI) across India. This service is available for 24x7x365 days. 177 entities (banks and non-banks) offer this service in India. Money can be transferred using the mobile phone (both basic and smart phone), internet banking or the Automatic Teller Machine (ATM). One of the following three references can be used for the transfer: 1) Mobile Money Identifier (MMID) along with Beneficiary's Mobile Number, 2) Beneficiary's Account Number with his bank's IFS Code or 3) Beneficiary's Aadhaar number. MMID (Mobile Money Identifier) is a 7-digit number, issued by banks. MMID is an input which, when clubbed with the mobile number, facilitates quick funds transfer. The combination of the Mobile Number and MMID is uniquely linked with the beneficiary's account number and helps in identifying the beneficiary's details. Different MMIDs can be linked to the same mobile number. (Please contact your bank to obtain the MMID). The amount is credited within 30 seconds. Both the sender and the receiver will receive SMS messages as confirmation of the transaction. For this purpose, the sender and the receiver should link their respective mobile numbers with their bank accounts. As at the end of November 2016, 187 banks provide this service. In November 2016 alone, 40.3 million transactions (13.4 lakh transactions per day) have taken place, involving 35.5 billion rupees. USSD (Unstructured Supplementary Service Data) is a technology normally used in the field of telecommunication. It is available on all GSM-enabled handsets. There is no need for any internet connection, to use the services by this method. It uses voice connectivity. Even those who own the basic phone can avail this facility. Currently, this service is available in 10 regional languages, along with Hindi and English. Therefore, it is the best banking solution for the common man. There are 77 authorised Prepaid Payment Instrument issuers (PPI) such as Paytm, Freecharge, JioMoney, SBI buddy, etc in India today. This facility enables the purchase of goods and services against a value, stored on such instruments. This can be used only through smart phones, after downloading the applicable apps. 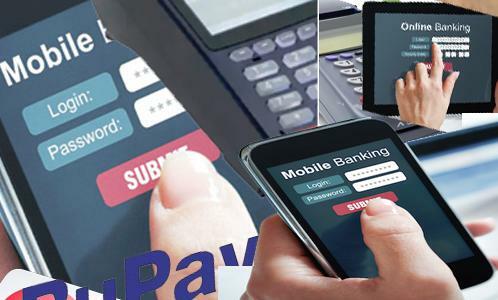 The Unified Payments Interface (UPI) is a system that empowers multiple bank accounts in a single mobile application (of any participating bank), merging several banking features, seamless fund routing and merchant payments under one hood. It also caters to the "Peer to Peer" collect request which can be scheduled and paid as per requirement and convenience. Money can be transferred through the mobile phone device (Android) to any other bank account immediately, round the clock (24x7) on all 365 days. This facility works on the IMPS platform. UPI was launched by NPCI in August 2016. Presently, 33 banks are connected in UPI. A customer can download any UPI application of any participating bank from Google Play and use. The uniqueness of the UPI is that one need not share his account number details with the sender. This app enables the account holder to create a virtual payment address (VPA) like abc@xyz and link it to his account. Any amount remitted to this virtual ID from any other bank through this app, gets credited to the beneficiary account immediately. Even multiple bank accounts with different banks can be handled through this apps. The bank may charge only 50 paise per transaction under UPI and it is the cheapest of all the modes of transactions. NPCI is continuously working on improving the system and its security to enhance the efficiency. The BHIM app (Bharat Interface for Money) developed by NPCI was launched by the Prime Minister, Narendra Modi on 30th December 2016. This is a unique application connecting all banks under UPI. This app can be downloaded from Google Play. It is due to lack of awareness and non-participation by other banks that there are currently only 1 lakh (100,000) transactions per day. This scheme will be beneficial only when all the banks participate fully. PreSense is taking up with the Government of India exclusively to enforce all Banks to join this UPI. Through Business Correspondents, customers of Aadhar-linked accounts can 1) check their bank balance, 2) withdraw cash, 3) deposit cash and 4) transfer funds to another Aadhar-enabled account. This helps the rural people to avail the banking service efficiently. The entire transaction gets completed with the finger print of the customer, linked to his Aadhar number with the help of Micro ATMs. In India 40 crores (400 million) Aadhar cards have already been linked to bank accounts. 5 million transactions are perfumed per day to beneficiary accounts, towards Government payments, through NPCI. The Bharat Bill Payment System (BBPS) is a Reserve Bank of India (RBI) mandated system which offers integrated and inter-operable bill payment services to customers across geographies with certainty, reliability and safety of transactions. It offers bill payment services to customers through the network of agents or online, allowing multiple payment modes and instant confirmation. It will facilitate a 'less cash' society through the migration of bill payments from cash to the electronic channel. NPCI has already enabled Electronic Toll collection through RFID (Radio Frequency Identification) in 540 Toll gates out of the 1200 plus toll gates in India. This facility will soon be extended to other toll gates also. In order to achieve a 'less cash' economy, every family should open bank accounts and link the mobile numbers and Aadhar cards. Many of the rural people are already familiar with bank accounts as the Government makes payments to them by credit to their bank accounts. In 2004, although many people dreaded the introduction of 'Electronic Voting Machines' in all the 543 Lok Sabha Constituencies, the people accepted and participated in the elections without hassles. Our Prime Minister has appealed that every youth should take up the responsibility to educate the elders and non-users in his neighbourhood about non-cash transactions. Demonetisation has triggered an opportunity to reduce cash transactions in India. NPCI, under the guidance of Reserve Bank of India (RBI) is developing many technology tools in this direction. The Government of India has also announced some incentives to encourage digital transactions. Besides, the Government should waive the service charges for all digital transactions. Unfortunately, the awareness level among the people is lacking. Our Editorial Team had to run from pillar to post, to acquire authentic resources and information for writing this article. NPCI is developing world class technology tools. NPCI and the Indian Bank Association (IBA) should be pro-active in promoting this lifestyle habit, by involving banks, Non-Government Organisations (NGOs), educational institutions and the media to spread awareness. If they do not take the initiative now, the objective of the Demonetisation move initiated by the Prime Minister would be defeated.